Consider a multi-channel Cognitive Radio Network (CRN) with multiple Primary Users (PUs), and multiple Secondary Users (SUs) competing for access to the channels. In this scenario, it is essential for SUs to avoid collision among one another while maintaining efficient usage of the available transmission opportunities. We investigate two channel access schemes. In the first model, an SU selects a channel and sends a packet directly without Carrier Sensing (CS) whenever the PU is absent on this channel. In the second model, an SU invokes CS in order to avoid collision among co-channel SUs. For each model, we analyze the channel selection problem and prove that it is a so-called “Exact Potential” game. We also formally state the relationship between the global optimal point and the Nash Equilibrium (NE) point as far as system capacity is concerned. Thereafter, to facilitate the SU to select a proper channel in the game in a distributed manner, we design a Bayesian Learning Automaton (BLA)-based approach. Unlike many other Learning Automata (LA), a key advantage of the BLA is that it is learning-parameter free. The performance of the BLA-based approach is evaluated through rigorous simulations and this has been compared with the competing LA-based solution reported for this application, whence we confirm the superiority of our BLA approach. 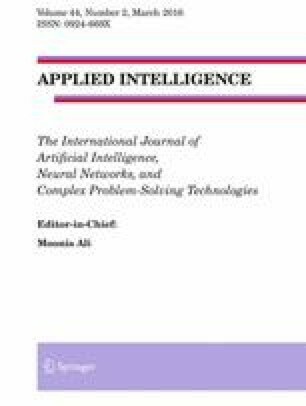 A preliminary version of some of the results of this paper was presented at IEAAIE-2014, the 27th International Conference on Industrial, Engineering and Other Applications of Applied Intelligent Systems, Kaohsiung, Taiwan, in June 2014. .